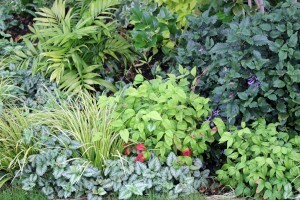 Barbie alerted me to an amazing competition in SA Garden magazine for gardeners called “Spot The Red photo competition”. The 1st prize is a Nikon D3100 DSLR camera and the second prize is a Nikon COOLPIX S3100. 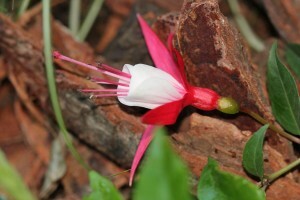 To enter the competition, gardeners are required to submit a photograph of a red item in their garden. The “red item” can be anything from a bug, a field of red flowers or a tree with red apples. The blurb goes on to say “It doesn’t matter whether you are a wildlife amateur photographer or a happy snapper, or if you have one red rose in a pot or a mass of red in your backyard – we want to see your photos“. I don’t have much red in my garden. In fact, hardly any red at all. 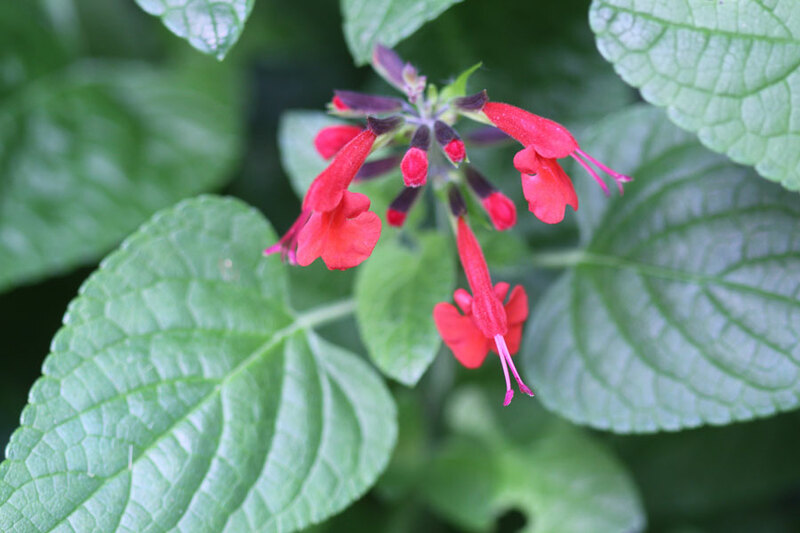 I have a small area in the back where I have been playing around with adding red which includes two small red Impatiens that look like they are on their way out (was an experimental planting), some Salvia and apart from that, I don’t really grow red flowers. I’m not sure why, except that red would clash with my predominantly pink, white and blue garden. I have the odd red camellia that works well and the red berries on the Nandina are lovely (and don’t clash) so I don’t have much to offer in the way of “red” photos. 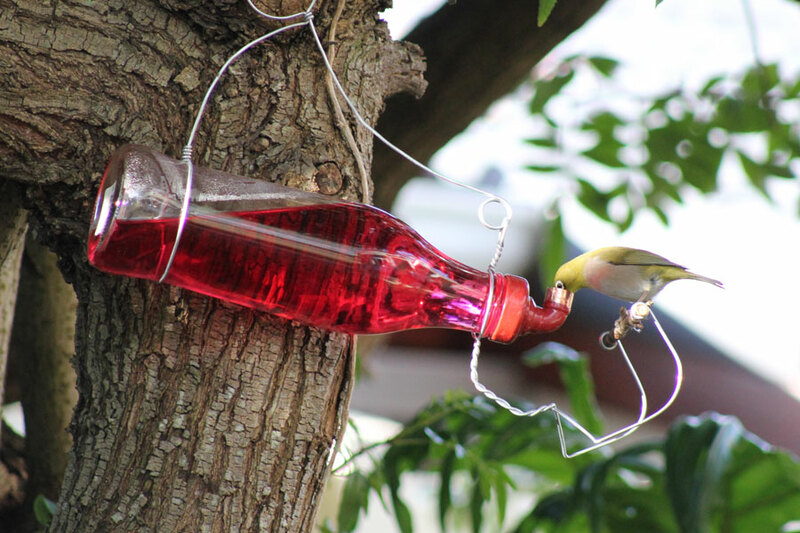 * The nectar feeder I bought came with a small bottle of red food dye and instructions to add a drop or two the first time you set it up as red attracts the birds. Once the birds know about the feeder you can stop adding the dye. This photo from the archives of when I first set it up. 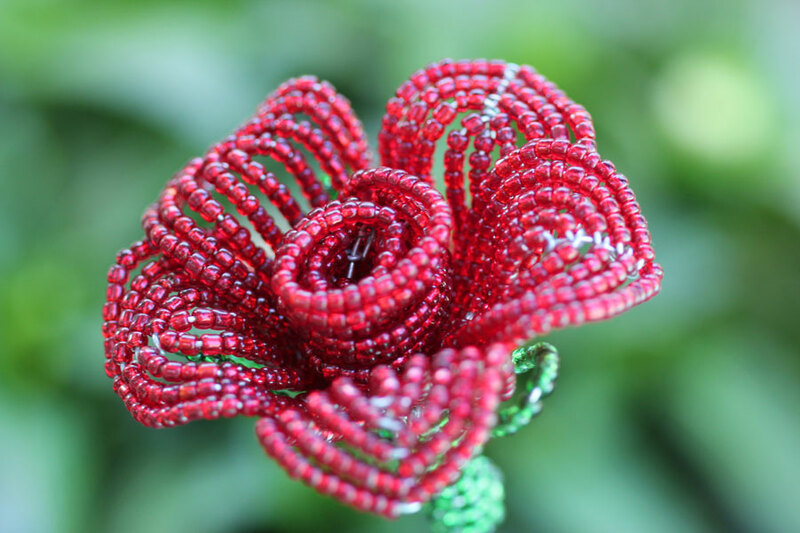 ** The hand beaded rose ornament I bought from a street vendor – local women hand bead these lovely garden ornaments - I like to support them as this is usually their only form of income. So there you have it … that’s all the “Red” I have to offer! What RED do you have in Your garden? Christine, I think in our garden we are all redded out, especially with those Begonias, time to tone it down I think. 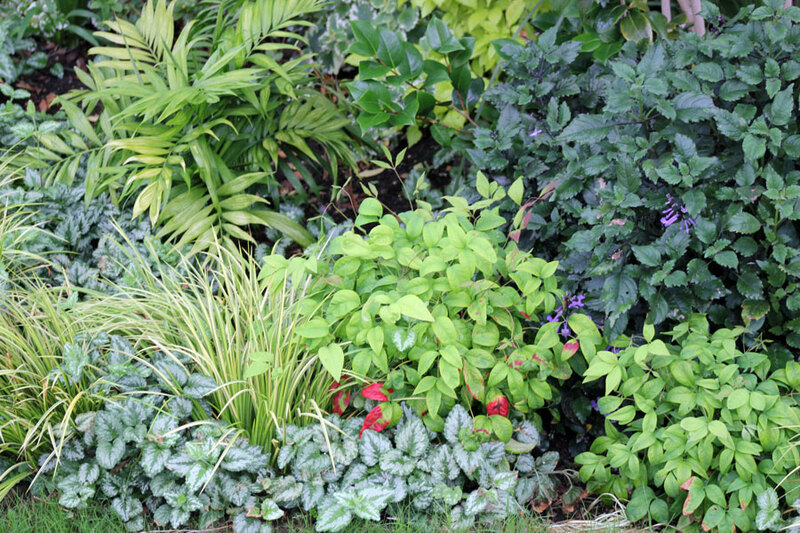 I do like your Nandina, probably borderline hardy in Scotland. That hand beaded ornament is gorgeous. It looks like something you might pin to your jacket (which I would totally do) but you say it’s a garden ornament? I just had a similar thought regarding red in the garden recently, I have some red flowers which I love but I was thinking of moving them and realized they would clash horribly with many of the predominantly pink ones. something to ponder over the winter. I think you should submit the hummingbird feeder. Red is not very common in my garden, but I have some nice shrubs with red flowers including a camellia. 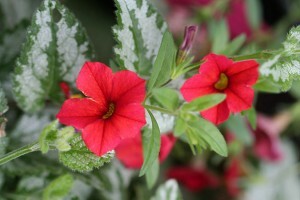 I think you have some very nice options for red in the garden, varied and creative. There is not much that is red in my garden in this winter season. I have passed the oak leaf hydrangea, and there are a few burgundy leaves drooping from the branches. You can definitely submit the last two pictures. They are red and look nice. Red is all over in my garden, so that would be a color I can do. You should submit, you have some really nice images. The photo of the nectar feeder is a definite winner! You should submit it in the contest. 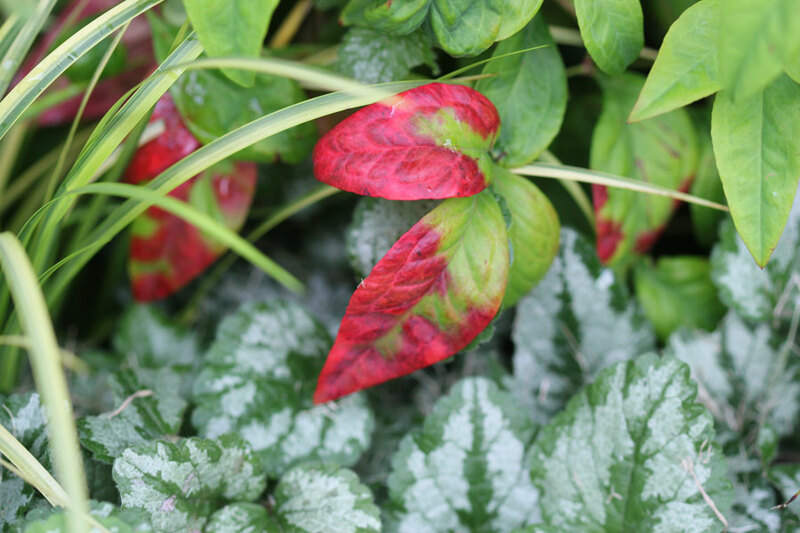 I think that first photo of the nandina leaf would be a good entry! Great texture! I think your photos are excellent. Maybe reconsider submitting them to the contest? 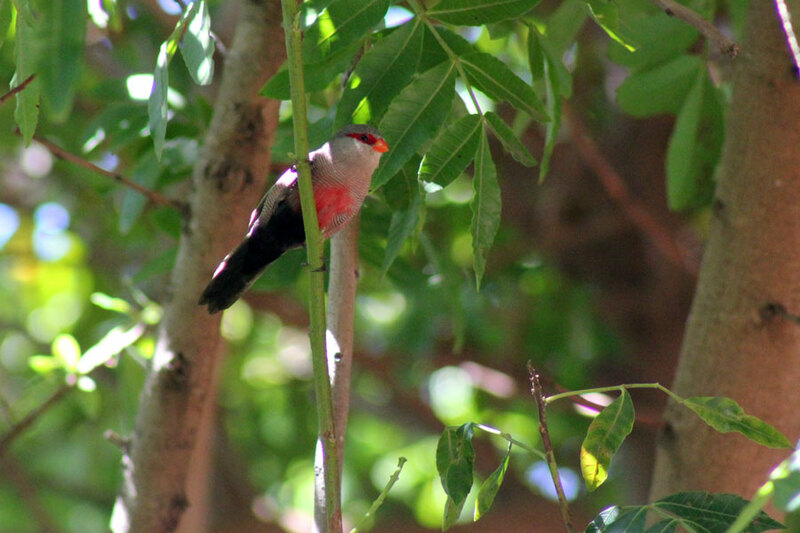 The two that struck me on first glance were the Rooibeksysie and the bird feeder. The red liquid is striking! I have no red in my garden now, but once tomato season hits, I’m hoping for lots of red. Actually, there is a cardinal that visits my neighbors’ feeder, and I’m always on the lookout for his little red body. Lovely post!